In January 2019, a large collection of globally hacked data was discovered being distributed on a popular hacking forum. This collection has become known in the media as “Collection #1”. The data contained almost 2.7 billion records including 773 million unique email addresses and login credentials. 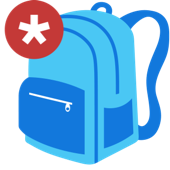 The SkoolBag Security Team became aware that a group of SkoolBag login credentials (email addresses and encrypted passwords) existed within the “Collection #1” data set. What steps did SkoolBag take in response? Engagement of specialised security consultants to do a complete audit of our systems. Notification made directly to all impacted users. What is SkoolBag doing about this going forward? Continuous monitoring for potential misuse of our systems. Regular security audits of our systems and processes. A continued commitment to our users of openness and transparency on these issues. SkoolBag has notified, via email, each and every user whose account credentials are known to have been impacted. Please check to see if you have received an email from us titled “Important Data Security Announcement”. If you did not receive an email but have reason to believe your account has been compromised you can email us directly at privacy@skoolbag.com.au to ensure it is investigated. Even if you did not receive this email from us and are not involved in the “Collection #1” incident, we still suggest that you read our recommendations on how you can best secure all of your online accounts via strong and different passwords. This security incident has impacted a limited subset of all SkoolBag users (Admin and Users). SkoolBag has contacted all affected users via email to make them aware. Why am I being forced to update my password? As part of our security review, we identified that many users had simplistic passwords. To ensure tighter security we have now enforced a password policy that includes a minimum of 8 characters, 2 uppercase and 1 numeral. For example “FunkyGibbon9”. This will ensure your password is harder to be guessed should any further attempts be made. Update all your passwords online to be a strong password using letters (both uppercase and lowercase), numbers and symbols. Ensure you use unique passwords on each system you use online. This ensures if one is compromised that your other data remains secure. Maintain a close watch on your email traffic to avoid potential phishing emails which might be attempting to access your personal information or seeking confirmation of logins. Be aware of telephone calls for businesses or institutions requesting your personal details. Avoid opening attachments from unknown senders on email or social media. Install and keep up-to-date anti-virus software on your machines. Backup your data including photos and music.